Melanie Faranello is the recipient of a 2018 Artist Fellowship Award from Connecticut Office of the Arts and holds an M.F.A. in Creative Writing from The New School. She has taught for over twenty years, both as a teaching artist bringing creative writing workshops to at-risk youth, teens, and seniors in the community, public schools and cultural organizations as well as an adjunct professor at many universities throughout New York City, Chicago and Hartford. 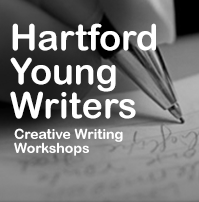 Under the program name Hartford Young Writers, she brings creative writing workshops around the greater Hartford area, creating opportunities for people of all ages and backgrounds to engage with and experience the power of the written word while deepening their understanding of the craft. She also works as a teaching artist at Charter Oak Cultural Center in Hartford and has brought programs to various public schools through CT Arts Council and her work as a contributing author of The Great Connecticut Caper. A Chicago native, she has lived in New York City, Colorado, Connecticut, and Ecuador, and studied abroad in Nepal where she collected and translated oral folklore from the Limbu people of the Northeast Himalayas. Her fiction has been nominated for a Pushcart Prize and published widely in literary magazine as well as received recognition in various contests, residencies, and awards.